Wage labour played and continues to play a central role in Western industrial societies, not just on the economic plane but above all as a vital support for social cohesion and the rule of law. The main advances of the last 200 years including the building of the welfare state and its important gains in the field of human rights (e.g. dignified work and social rights) are examples of the importance of struggles waged by organised wage labour. The major problem, however, is the imminent civilisational regression in which we find ourselves, teetering on the brink of a new cycle of mercantilist barbarism similar to the times of Marx (Estanque and Costa, 2013). In fact, the Portuguese labour context has in recent years been battered by austerity policies, formally with the entry of the Troika (International Monetary Fund (IMF)/ European Central Bank (ECB)/ European Commission(EC0) in May 2011 and even beyond its exit n May 2014. 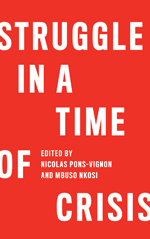 In this text, we initially identify some internal challenges put before unions and the external threats underlying austerity policies. We also set out some tasks for trade unions. Over the last few decades, factors in the crisis of trade unionism have multiplied in Western Europe: (i) disaggregation of interests surrounding the working class, as a result of more differentiated, segmented and flexible labour markets, of the decentralisation of production or of more precarious wage relations; (ii) a growing absence of loyalty and solidarity on the part of workers vis-à-vis unions, as a reflection of the emergence of individualism, which deviates attention to dispersed interests; (iii)we have also witnessed a crisis in trade union representativeness, resulting to difficulties when it comes to mobilising workers since union density is low. Hence it is not surprising that over the last two decades, the trade union camp has been legitimately confronted with its loss of representativeness. Some studies centred on Portuguese society have sought to investigate to what extent people trust unions, what are the signs of union renewal and their influence in society. In Portugal, this subject is also connected with the alleged problem of “instrumentalisation”, bearing in mind that each of the trade union congresses (CGTP-IN and UGT) maintain strong links with party-political forces (Communist Party and Socialist Party, respectively). Added to this, there are some factors of an internal nature that are not outside the realm of the abovementioned tendency of weakening: 1) trust in trade unions depends on the attention they are able to devote to new segments of workers that face greater difficulties in organising (precarious workers, the unemployed etc); 2) if unions demonstrated firm signs of renewal (giving more leadership roles to young people, women and rank-and-file militants, and strengthening internal and external communications etc) certainly more workers would trust them; 3) the high level of bureaucratisation of important trade union sectors, given the weight of older and relatively unskilled members, among other reasons, postponed for a long time the adoption of new digital technologies, and revealed their incapacity to deal with activist networks in cyberspace; 4) the influence of trade unions depends largely on the concrete success of struggles. But the effectiveness of trade union struggles is not always immediate, and often ends up being converted into a quantification exercise (opposing government/companies and unions) regarding numbers of strikers or demonstrators, as if this were the only criterion for the validity of trade union demands. The evolution of some labour market indicators – high rates of unemployment, proliferation of precarious work, growing numbers of fixed-term contracts, wage reductions, facilitation of dismissals – employers’ are often despotic and the political decisions of governments are some of the external factors that condition and limit the strength of unionism. All of this occurs in an atmosphere of the reinforcement of the neoliberal ideology and consequently ideological prejudice meant to stigmatise the trade union camp as a “conservative” force or a force “blocking” reforms and the “flexibilisation” of the labour market. Furthermore, governments and economic groups impose upon public discourse the idea of “good” unionism (that which negotiates and yields) against “bad” unionism (that which advocates the “rigidity” of labour laws). For example, the European Summit of December 8 and 9, 2011, opened up a period of disenchantment for actors from the world of work because of the “six pack” legislative package aimed at ensuring fiscal discipline. This was confirmed at the next summit on January 30, 2012, with the signing of the “European budgetary pact” by 25 member states of the European Union. In essence, this entails pay cuts and freezes, reductions in social security entitlements, shrinking employment, lower labour costs etc. In sum, it is the culmination of a succession of measures that seek to dismantle the welfare state and impoverish the general population, as if the economy could be miraculously re-launched from that basis. In this setting (in which there is an estimated 1.2 million precarious workers in Portugal, according to data released on October 20, 2014 by the Associação de Combate à Precariedade – Precários Inflexíveis), the uncertainties regarding the future of trade unionism become more complex. In the case of Portugal, as a result of the Memorandum of Understanding with the Troika (May 2011), of the social pact (January 2012), of the changes in the labour legislation (Law 23/2012, in force since August 1, 2012), there is a series of threats that are being imposed on the trade union movement and this has also been enhanced by the crisis: individualisation of labour relations and destructive collective hiring; weakening of the power of unions in social dialogue; reduction in the rights and duties regulated by collective bargaining, which is attested by the abrupt drop in the issuing of “extension decrees” from 101 in 2009 to 9 in 2013 (Costa, 2012; Marques, 2014: 3). Ultimately, as a result of austerity policies and alterations in labour legislation, one has witnessed a process of income transfer from labour to capital, exemplified by: a reduction by half of overtime pay, implying an average cut in workers’ total remuneration of between 2.3% and 2.9% in 2013; a 75% reduction in holiday pay; an 1-hour increase in the working day for no extra pay i.e. workers have given their employers between 7.9 and 12.8 working days per year without any additional pay; amounting to an extra €2.1-2.5 billion in terms of gross operating surplus (Leite et al., 2014). Adding dynamism to electronic trade unionism and ascribing the due importance to activism in “cyberspace”. Elísio Estanque and Hermes Augusto Costa are sociologists at the Centre for Social Studies, School of Economics, University of Coimbra. Costa, Hermes Augusto (2008), Sindicalismo global ou metáfora adiada? Discursos e práticas transnacionais da CGTP e da CUT. Porto: Afrontamento, 347 pp. Costa, Hermes Augusto (2011), “Do enquadramento teórico do sindicalismo às respostas pragmáticas”, in E. Estanque and H. A. Costa (eds. ), O sindicalismo português e a nova questão social: crise ou renovação? Coimbra: Almedina, 13-48. Costa, Hermes Augusto (2012), “From Europe as a model to Europe as austerity: the impact of the crisis on Portuguese trade unions”, Transfer – European Review of Labour and Research, 18 (4), 397-410. Estanque, Elísio (2012), “Trabalho, classe média e sindicalismo”, in E. Estanque and Leonardo Mello e Silva (eds. ), Facetas do Trabalho na Contemporaneidade: Diálogos Luso-Brasileiros. Curitiba: Editora Appris. Estanque, Elísio (2012), A classe média. Ascensão e declínio. Lisbon: Fundação Francisco Manuel dos Santos. Estanque, Elísio; Costa, Hermes Augusto (eds.) (2011), O sindicalismo português e a nova questão social – crise ou renovação? Coimbra: Almedina, 181 pp. Estanque, Elísio; Costa, Hermes Augusto (2012), “Labour relations and social movements”, in Denis Erasga (ed. ), Sociological Landscapes: Theories, Realities and Trends. Rijeka/Croatia: INTECH/Open Access Publishing, 257-282 [available at http://www.intechopen.com/articles/show/title/labour-relations-and-social-movements]. Estanque, Elísio; Costa, Hermes Augusto (2013), “O sindicalismo europeu no centro do vulcão: desafios e ameaças”, Janus – Anuário de Relações Exteriores, 16, 176-177. Leite, Jorge; Costa, Hermes Augusto; Silva, Manuel Carvalho; Almeida, João Ramos (2014), “Austeridade, reformas laborais e desvalorização do trabalho”, in Observatório sobre Crises e Alternativas (ed. ), A economia política do retrocesso: crise, causas e objetivos. Coimbra: Almedina/CES, 127-188. Marques, Fernando (2014), “Os salários e a contratação coletiva face à crise” (paper presented to Oficina Direitos Laborais na Encruzilhada: OIT e Portugal). Lisbon: CES-Lisbon. Rosanvallon, Pierre (1988), La question syndicale. Paris: Calmann-Lévy. Sousa, Henrique (2011), Sindicalização: a vida por detrás das estatísticas (alguns problemas metodológicos) (working paper). Lisbon: FCSH, Universidade Nova. Waddington, Jeremy (2005), La syndicalisation en Europe. Étendue du problème et éventail des réponses proposées par les syndicats. Brussels: ETUI-REHS.